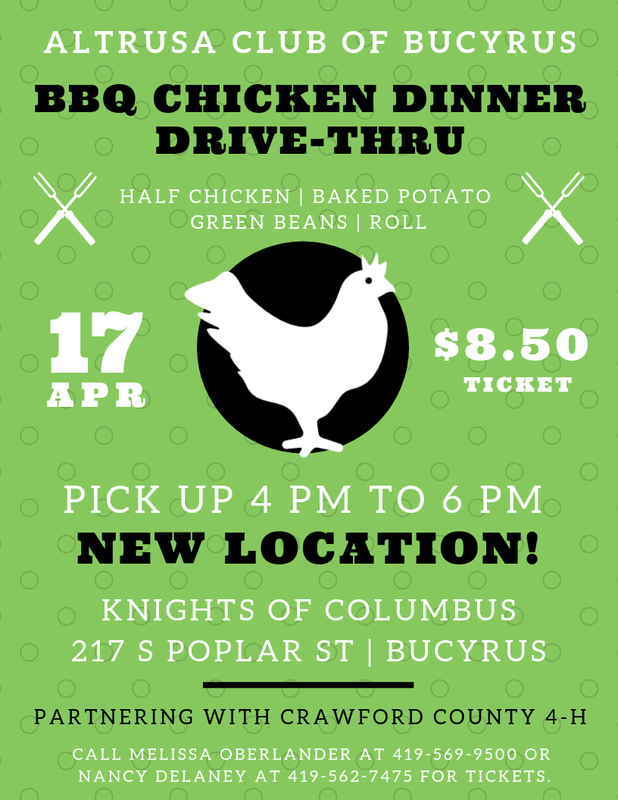 BBQ Chicken Dinner Drive Thru hosted by Altrusa Club of Bucyrus, in partnership Crawford County 4-H. Pickup at the Bucyrus Knights of Columbus between 4 pm to 6 pm. Meal includes half chicken, baked potato, green beans and roll for $8.50. Call Melissa Oberlander at 419-569-9500 or Nancy Delaney at 419-562-7475 for tickets. Deadline for tickets is April 10.